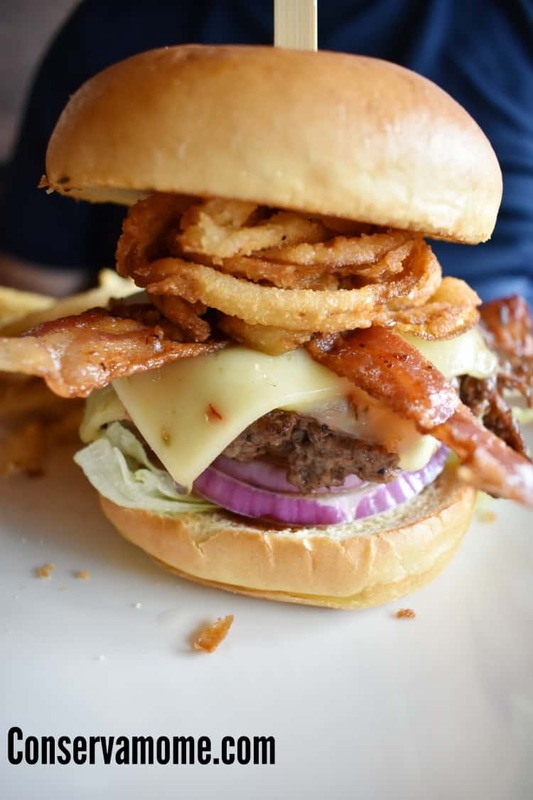 Find out why Applebee’s 3-Course Meal Deal is a Must on your Dinning Bucket List. Disclosure: This is a sponsored post on behalf of Applebee’s. However, all opinions are 100% mine. When you have kids getting out to eat on can be tricky. Let’s face it between time issues, logistics and well money, dining out can get tough. However, there are times when a deal comes along that makes it almost impossible to turn down heading out with friends, parents or your honey. Well, I’ve got some great news to share. 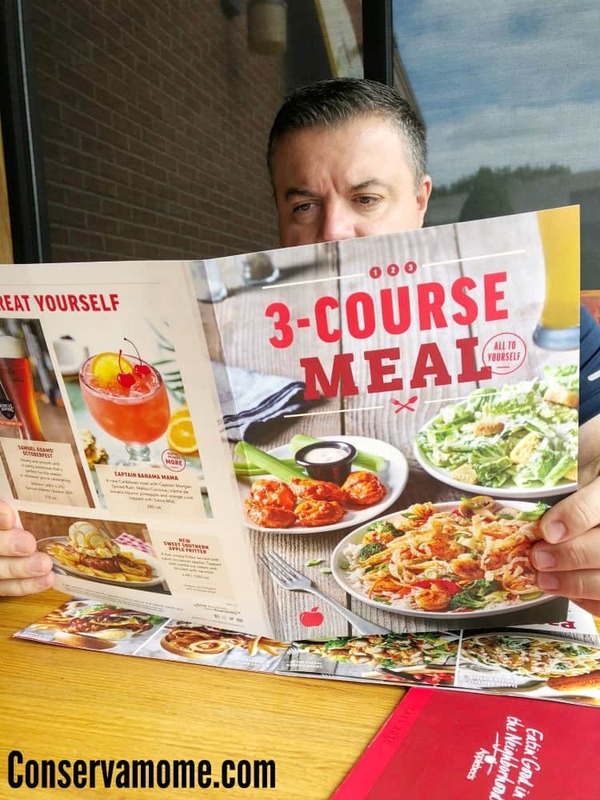 Feast your hungry eyes on the deal of the century: Applebee’s New 3-Course Meal. 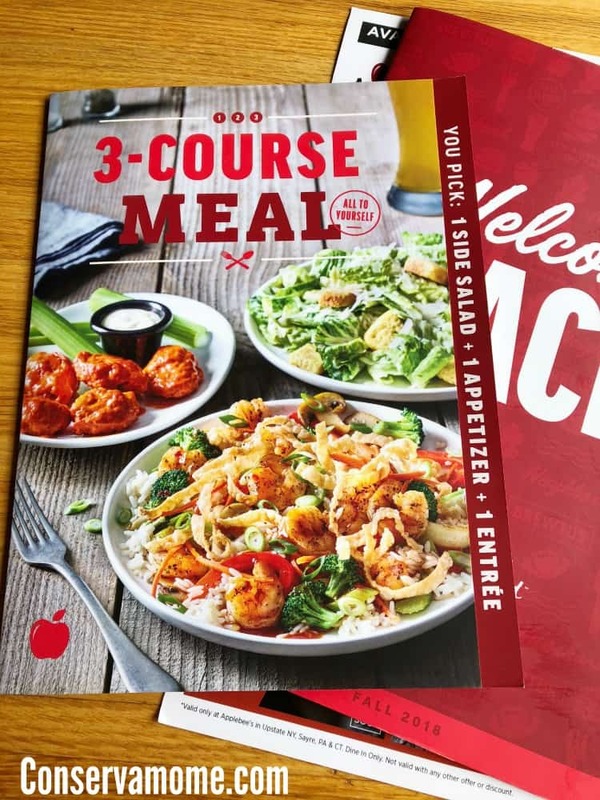 Now for a limited time, Applebee’s restaurants nationwide are serving up the NEW 3-Course Meal for one, including an appetizer, side salad and entrée. Starting at just $11.99, you can get the ultimate dining experience when choosing THREE crave-worthy items from a selection of 15 of Applebee’s most-loved dishes. You heard right! Applebee’s has got a deal for you. A deal I put to the test with the harshest critic out there, my husband! I’ve always had a love for Applebee’s. This is one restaurant that has never let me down and thankfully, we’ve got one here in Danbury that’s pretty fantastic. So hubby and I decided to grab a lunch date the other day while the kids were in school. Most important we wanted to see if this 3-course meal was really worth the hype. The 3 course meal deal consist of just that, 3 delicious courses for one price. You choose from a Salad, Appetizer and an Entree. These meal deals will run between $11.99-$17.99. Let me just start off by saying picking a meal deal was so hard. Why? Look at all the delicious options you have to choose from. 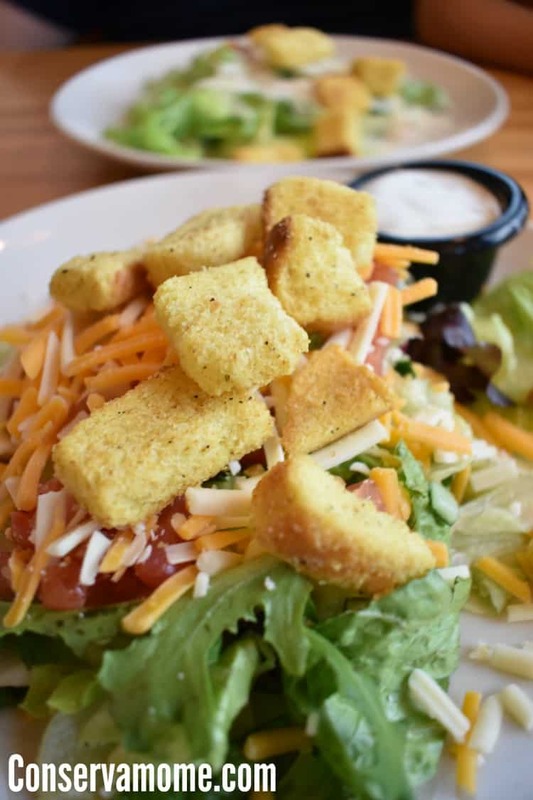 You begin with your choice of a House salad or a Cesar salad. These aren’t mini plates either, you get a full size salad folks! 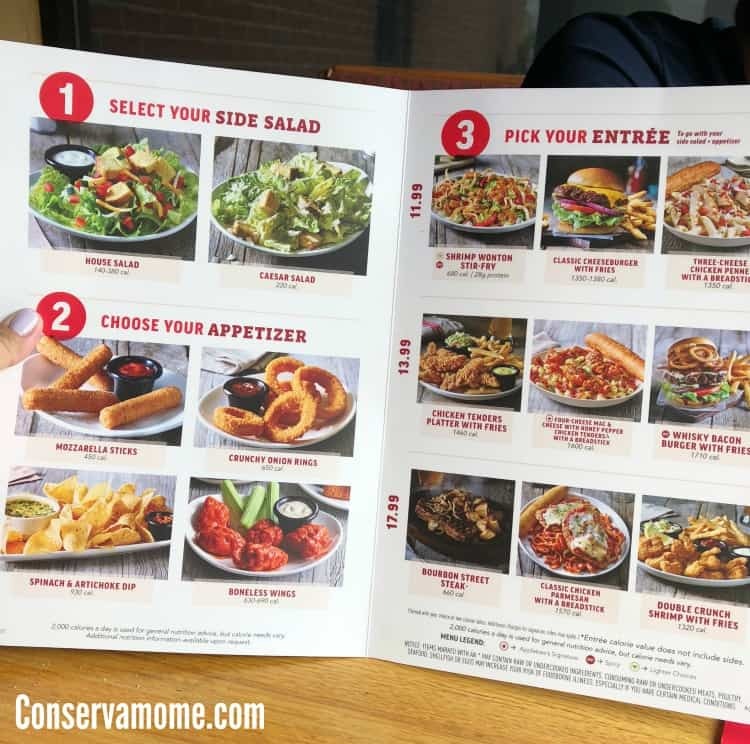 Next you can choose from 4 different appetizers, Boneless Wings, cheesy Mozzarella Sticks, creamy Spinach & Artichoke Dip, or Crunchy Onion Rings. 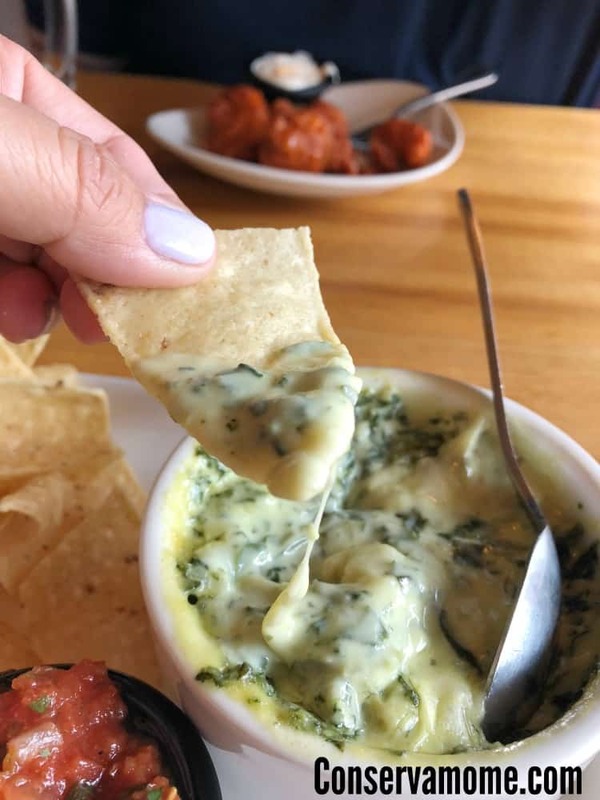 My hubby chose the Boneless wings, while I chose my all time favorite Applebee’s appetizer their spinach and artichoke dip. This wasn’t a small dish either, I could have shared my appetizer with hubby!! This to me was the most surprising part of the 3-course meal deal, the fact that you didn’t just get a miniature version of the appetizer but a nice big helping! The actual Entree is what finished blowing us away! 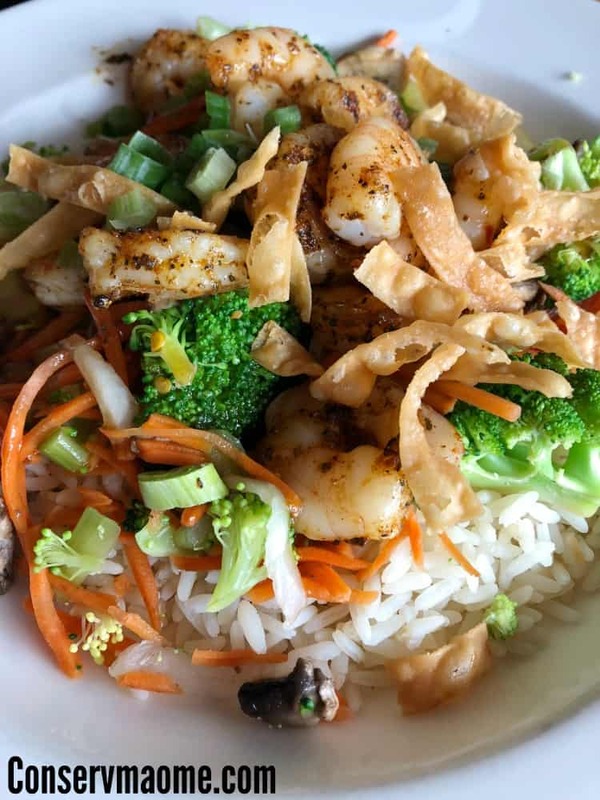 The third course boasts nine different satisfying entrees to choose from including the delicious Three-Cheese Chicken Penne with a Breadstick, Classic Cheeseburger with Fries or Shrimp Wonton Stir-Fry. Additional six choices vary by location and price. And I got the shrimp Wanton Stir Fry… Now I have to preface this all by saying I have this insatiable appetite since I’m still nursing 6.0 and when I tell you I couldn’t finish all the food, I’m not lying. This was a huge serving of pure deliciousness. So as you can see this meal deal really is the deal of the century!! You get a 3-Course meal for yourself of Applebee’s deliciousness starting at one low price! Don’t have time to Dine in? 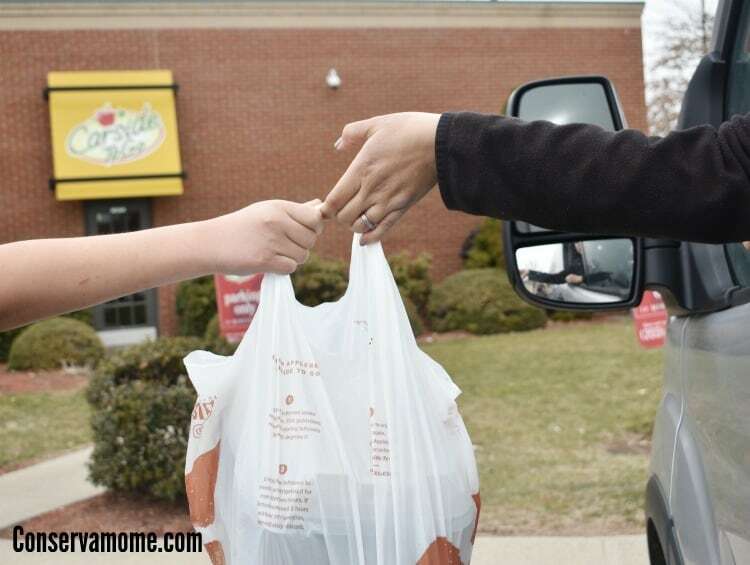 Order and pay online, pick up and head home with Applebee’s To Go. You won’t even need to leave your car with Carside to go! Plus, for a limited time, take home a fountain drink for just 99 cents with any Applebee’s To Go order. So head into your nearest Applebee’s and grab these great deals! 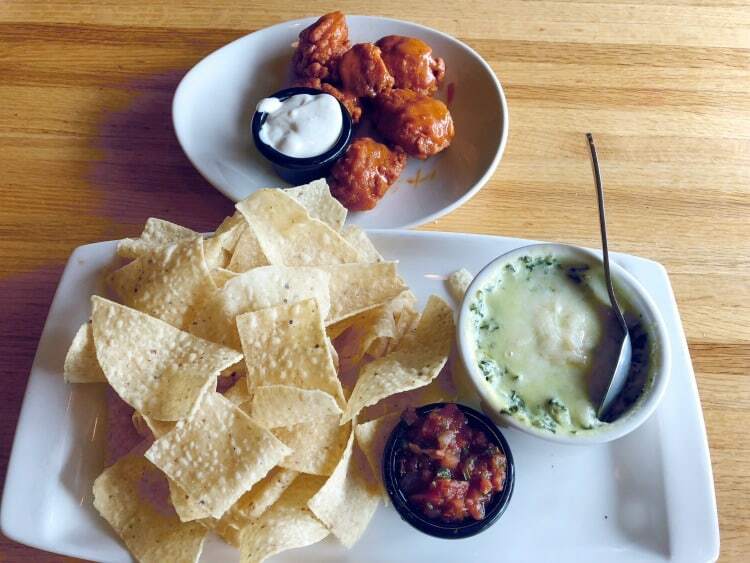 With prices this great you won’t need to break the bank to enjoy a delicious meal from Applebee’s. 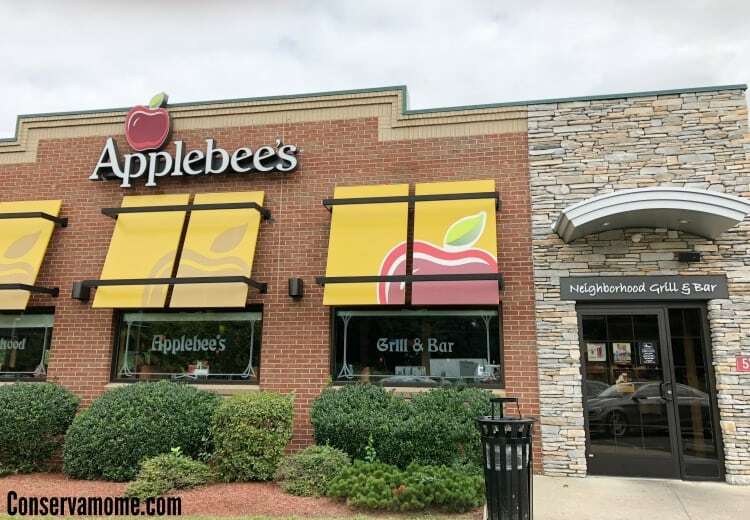 Find out where your closes Applebee’s is here. Sounds like a fun date night idea! This sounds so good.I love living at Applebee’s. I can’t wait to check this out. We haven’t been to Applebees in a while, everything looks delicious. I love the 3-course menu idea, we have to go after church this Sunday. Thanks for sharing. I haven’t been to Applebee’s in so long!! I used to love it but I guess there aren’t as many around anymore. I’m gonna have to look up the closest one!! 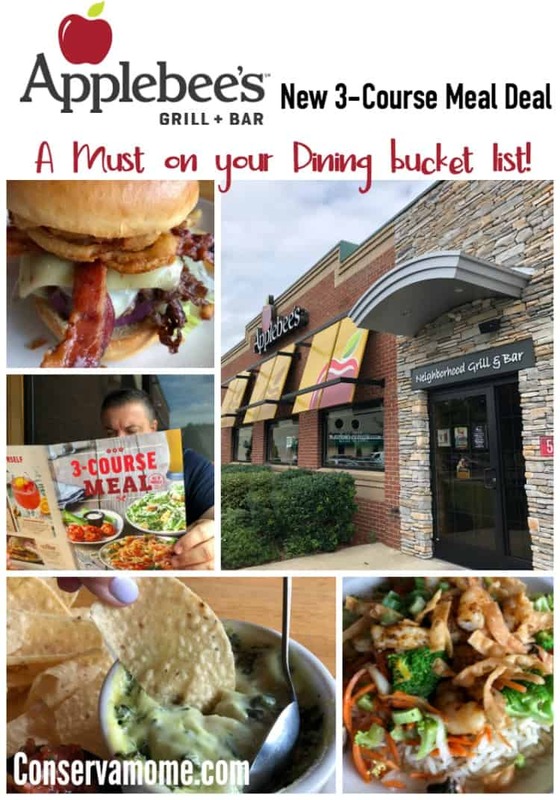 (applebee’s 3-course meal deal- a must on your dinning bucket list) I love their food and their good menu’s too. It’s been awhile since I have visited their place, will have to go again real soon. What an interesting read! 🙂 Thanks for sharing! love this at apple bess so yummy!!!! Within the last two years we got an Applebee’s near us. I am going there soon to try this deal. We were just at Applebee’s last night and looked over this menu. They do seem to have a lot of good options. My husband and I haven’t tried the three course meal. However, thank you for writing about it as it sounds like a wonderful bargain! We shall certainly be checking this out. Glad to say that I have an Applebees within a few miles that we frequent. I have not tried the 3 course deal but now know that it is something I will check out.